Also known as the Motorola Dext outside the US, this phone was released in November 2009 (US) with the serial number MB200. is_it_possible that connectors between the two parts could got loose? Diagnose any issues you may be experiencing with the Motorola Cliq Troubleshooting Guide. 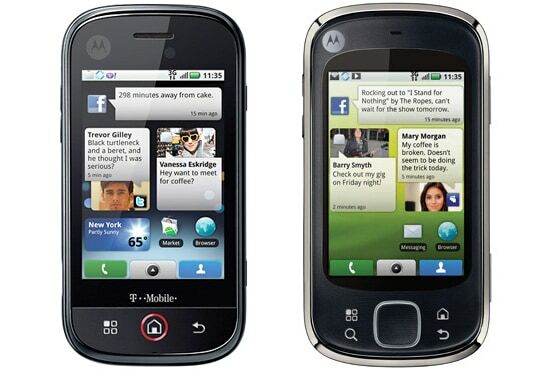 Launched in November 2009, the Motorola Cliq is an Android-based smartphone exclusive to T-Mobile's 3G network. The Motorola Cliq is preinstalled with Android 1.5 and Motorola's MOTOBLUR interface technology. MOTOBLUR is a widget-based system that combines and streams social networking feeds. The Cliq is the predecessor to the Cliq XT and the Cliq 2, released in March 2010 and January 2011 respectively. The Cliq XT and Cliq 2 are similar in design to the original Cliq. However, the Cliq XT has no physical keyboard and the Cliq 2 has a larger 3.7" screen, ships with Android 2.2, and has a faster processor. Click here to visually see the differences between the Cliq (on the left) and the Cliq XT (on the right). The serial number, MB200, is located behind the battery on the back of the phone.